My role during construction is generally to act as my client's agent, working to ensure that what was designed is what is built, the obligations of their construction contract are being honored, and what they are being billed for as construction progresses is either delivered and stored or installed according to contract requirements. I am not there to micro manage the contractor or subcontractors, but I do hope they see me as a resource to help them do their best work. It is always my goal that the relationship I maintain with the whole building team will be collaborative. While the best architects never stop thinking about design, and always demand appropriate quality of material and craftsmanship, it is my view that the ideal role of the architect is to support the efforts of a committed team of technicians, craftsmen and artisans in a collaboration of service to the project. During construction, a continuous stream of questions, problems, and opportunities inevitably arise and must be addressed. The architect is the probably the only person with an overarching understanding of how all the specialized aspects of the work relate to the whole, and should always be involved in these conversations. But the people doing the work bring tremendous depth of knowledge to the project, and their input is often invaluable. 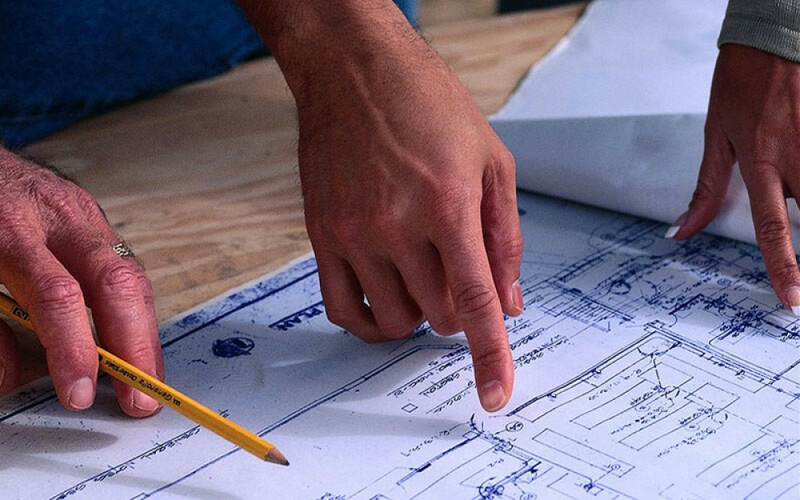 Most contractors believe the most frightening thing that could happen to even the most competent and conscientious architect would be for them to build exactly in conformance with the plans and specifications. There is more than a grain of truth to this, and it is not something an architect should be defensive about. Here again, Kahn offers his characteristically insightful wisdom: "When you have all the answers about a building before you start building it, your answers are not true. The building gives you answers as it grows and becomes itself." Excellence is never a casual or unintentional matter. Surround yourself with the best team you can. Empower and inspire them to deliver true quality. And always, always say Thank You.